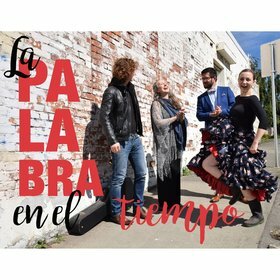 7:30 p.m. doors at 6:45 p.m.
La Palabra en el Tiempo is a phrase from Antonio Machado, humble poet, philosopher, and “old-fashioned school teacher” from Andalucia, Spain. The phrase has been translated many ways: “the word in time,” “human language in which we feel time passing,” or “words that pick up the energy of time,” or “words that take their place, like drumbeats, in time already counted.” These words are related to flamenco: tiempo is the compás, palabra is the word, spoken, sung, strummed, or knocked out on the floor by a shoe. “Form your letters slowly and well: making things well is more important than making them.” In this performance, singer, poet, guitarist, and dancer each attempt to express “one or two humble words” in el tiempo with hope they may be common earthen jugs beside the stream. Flamenco is inherently an improvisational art form comprised of guitar, dance, and poetry as song. One of Palabra Flamenco's unique features is the use of English rather than Spanish poetry, spoken and not sung. Poet Garth Martens, a lifetime student of flamenco, or aficionado, performs new work in the flamenco context. Palabra Flamenco reminds us what flamenco can mean in this time and place. These artists attempt to excavate human shadow. The shadow is long. It belongs to individuals, the village, the nation. As well, this performance includes joy, mockery, humour, sunlight: conscious and celebrated tools to reclaim ourselves whole and human. Note: La Palabra en el Flamenco is expanded from Palabra Flamenco's debut in the 2017 Flamenco Festival. 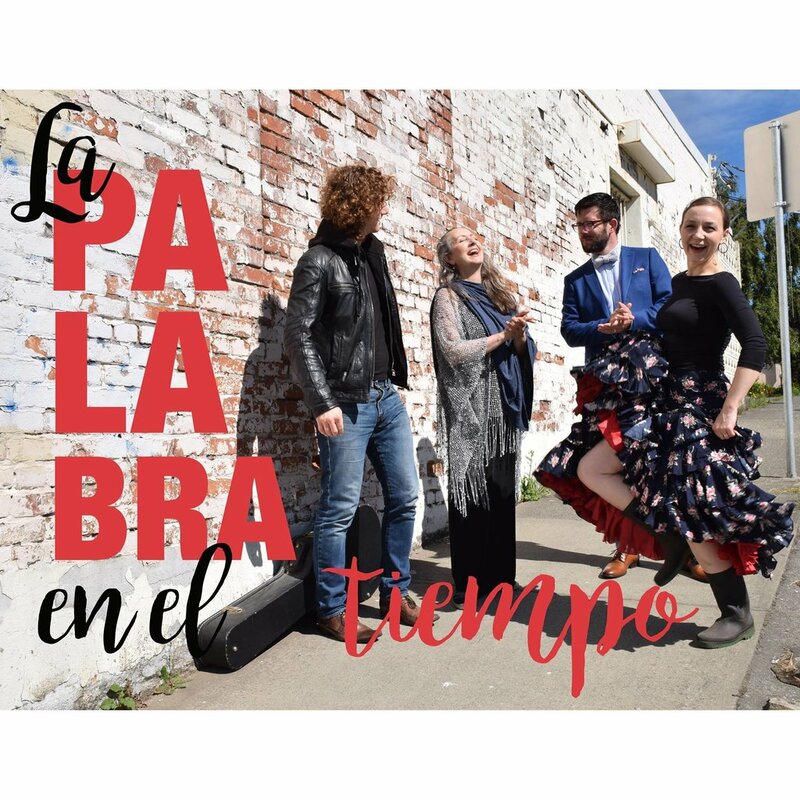 Artistic director and dancer Denise Yeo is joined by poet Garth Martens, singer Veronica Maguire, and guitarist Gareth Owen in La Palabra en el Tiempo, where the word in time soaks its way to dark corners. We’re pleased to offer draw prizes for those who buy their tickets early. Starting December 15, every week, for five weeks, we will draw a name from among those who purchased tickets. Winners have their choice of prize. The earlier you buy your ticket, the more chances you have to win, as we draw every week and your name remains ‘in the hat’. Tickets are available online through Eventbrite (top of page). They are also available (cash only) at the Alma de España Studio. Contact: [email protected] For the January 20th show only, the Flamenco de la Isla Society is offering discounted tickets to its members. For the January 27th show, Palabra Flamenco is offering Low Income Pricing. 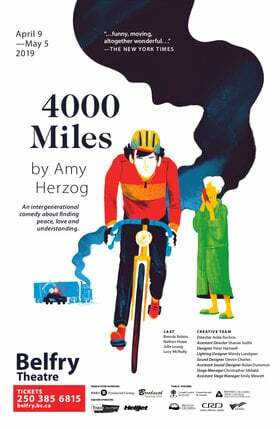 Due to limited parking near Intrepid Theatre, we advise drivers to arrive early.